Francie Alexander, chief academic officer at Scholastic. When you need aids and resources for students, free online tutoring from Scholastic is a terrific option. Scholastic's Homework Hub is a fun Web site dedicated to helping students, parents, and educators work together to improve study skills. Students use Homework Hub tools to create methods of learning that work best for them. 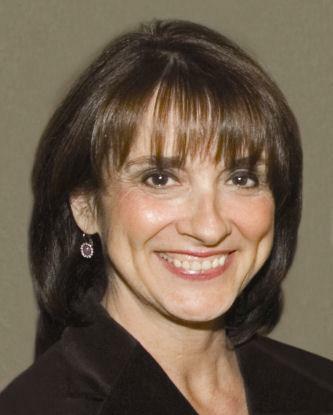 LoveToKnow Save talked with Francie Alexander, the chief academic officer at Scholastic. She has written many books for young readers, including, The Internet: A Kid's Handbook with Nancy Hechinger. She also has teaching experience with students in kindergarten through college. 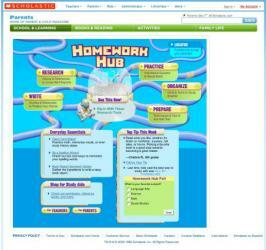 What prompted the development of the Scholastic Homework Hub? We wanted to create a safe space that empowers kids to find their own homework support. We saw a need for advice and guidance about how to study smart. Kids don't always know the best way to take notes or do research -- and that can be intimidating. All of our resources are written in a kid-friendly way. The information is real and valuable, but it's delivered in an accessible manner. The site outlines steps to help students practice, prepare, organize, research, and write. Why do students find these sections helpful? These are broad categories that every good student needs to master. We break the content down into chunks to make it easier to think about the steps within the big process of learning. Just like a student might make an outline of themes before starting a report, we've created an outline structure to support doing schoolwork. Homework Hub asks students to submit their study tips, too. Has there been a large response? Yes! Kids love to share their best tips and tricks, and we've received tons of great ideas. We think it empowers students to value what they know - plus kids appreciate hearing advice from their peers once in a while. Here's one example from Margaret B.: "Do the hard homework first. Then when you're tired all you have left is easy stuff." Some of the cool interactive features include the Book Report Sandwich Station, the Flash Card Maker, The Spelling Wizard, Maggie's Math Adventures, and different movies and slides. How do these features help students learn? Homework Hub has resources students can modify to fit their needs. The tools are fun to use, but they also serve important purposes. Tools like Book Report Sandwich Station or Flash Card Maker walk students through the steps to creating something with their own ideas and input. There are also quick games to practice skills and concepts and organizational tools, like My Calendar and My To-Do List that make it easy to keep track of everything. In every section, there is a Study Break, which allows students to play a game, test their knowledge of Harry Potter, or try some other fun function. How often should students take a study break when they have a mound of homework to do, and how long should the breaks be? Brains need breaks just like bodies do. It's a good idea for kids to take five minutes of every hour to do a fun activity, or even to stand and stretch and take a few deep breaths. How can parents and students use the Homework Hub together? It can be challenging for parents to find a way to interact with their children about homework, beyond just helping them get through it. Homework Hub is a positive space for parents and kids to visit together. Our parent audience is always looking for ways to support their kids in learning in and out of school. Homework Hub can give parents ideas of how to guide their kids - and it can offer a quick brush-up on topics that might not be fresh in parents' minds. What advice do you have for families preparing for school? Find ways to make reading a part of your family time - not just for school. Take family trips to the library, hold a family book club, or prepare a book-themed dinner together. What other free online tutoring resources does Scholastic provide? Another great place for kids and parents to find fun learning activities are our Online Activities in the teacher's area of the site. While originally designed for classroom use, activities like Story Starters and Character Scrapbook are great family-based learning activities, too. Learn math and fly around the world at the same time with this math quiz. Be quick! You only have 80 seconds! Follow the journey of a new immigrant through Ellis Island with this interactive video tour. Time for a study break? Test your knowledge of Harry Potter, or match the monsters from the popular Goosebumps series.